Thank you for visiting the web home of Romeo Kitchen & Bath. 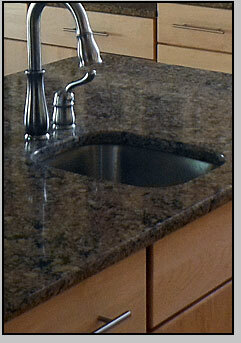 We are a full service remodeling company in southeastern Michigan, proudly family owned since 1970. Please take some time to look around our site and learn more about us and the services we provide, read some feedback we've received from past clients, view examples of our work. Kitchen cabinets and vanities by JSI, QualityCabinets, Mid Continent Cabinetry, and Merillat. Furniture style vanities by Indocraft. Kitchen and bathroom cabinetry by Woodharbor. These companies range from stock to custom cabinetry.